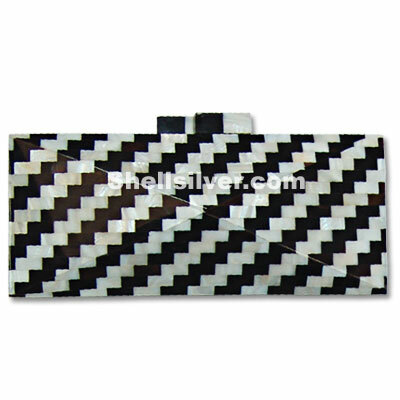 Shells handbag or clutch bag in checkered black and white color in rectangle shape with 8.5x4x1.25 i more..
Evening shells bag in rectangle shape w/ sides design 8.5x4x1.25 inches made of black tab shell in r more..
Capiz shells handbag or clutch bags in rectangle shape with sides 8.5x4x1.25 inches made of capiz sh more..
MOP Clutch Bags or Mother of pearl MOP shell yellow clutch handbags 6.75x3.5x1.75 inches in cracking more..
Kabebe shell handbags or clutch handbag in 17cm x 9cm x 4cm made of kabebe shell in cracking inlay d more..
Shells bags or clutch handbag made of brownlip shell in 17cm x 9cm x 4cm in cracking inlay design. f more.. 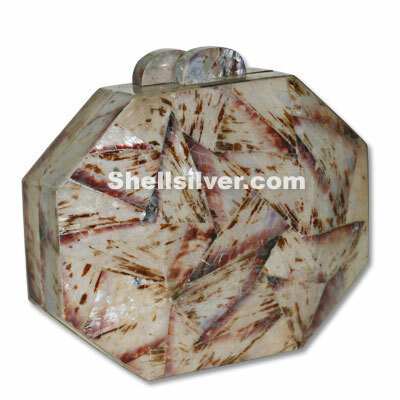 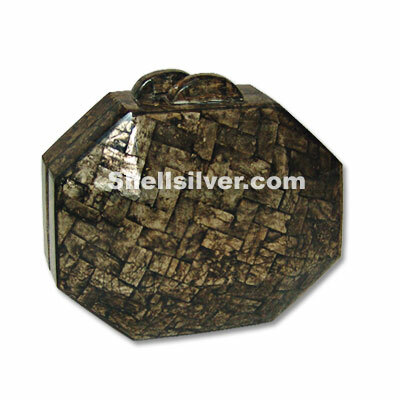 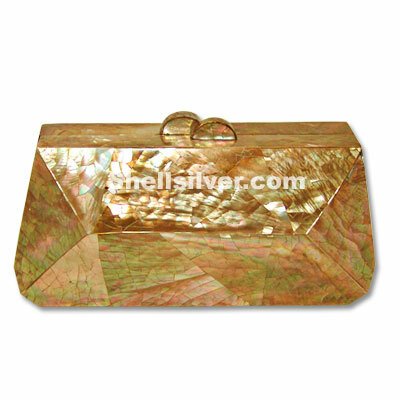 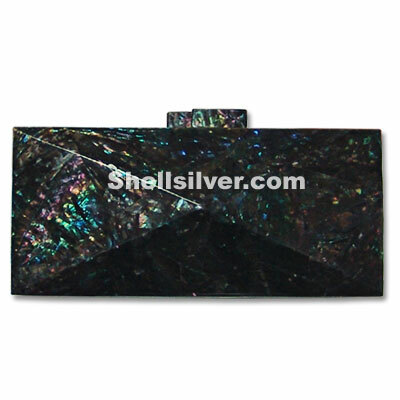 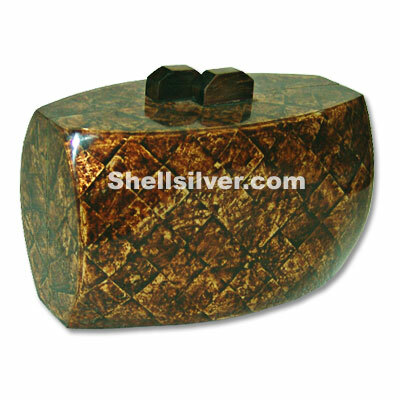 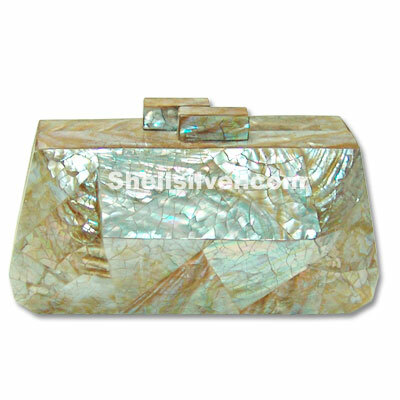 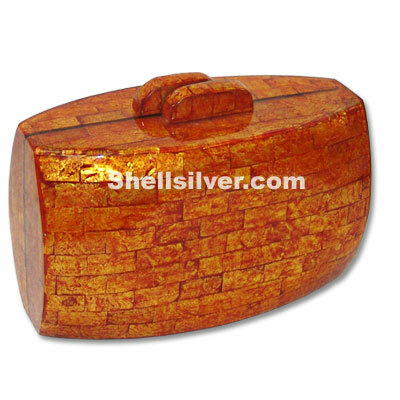 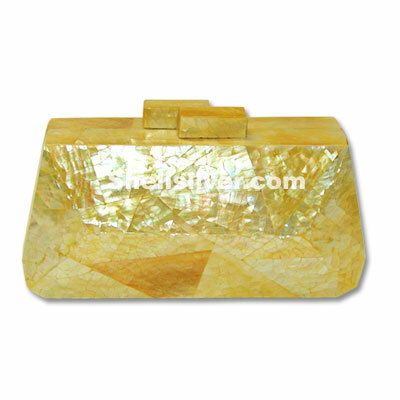 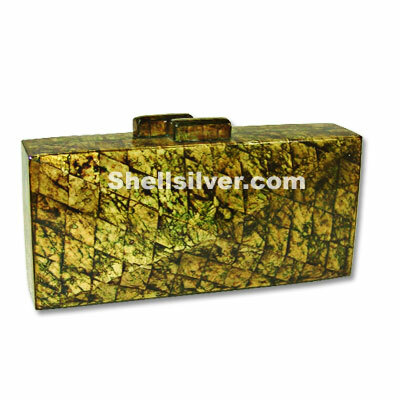 Shell clutch bag rectangle shape rounded 6x3.75x3 inches in capiz shell brown square inlay. 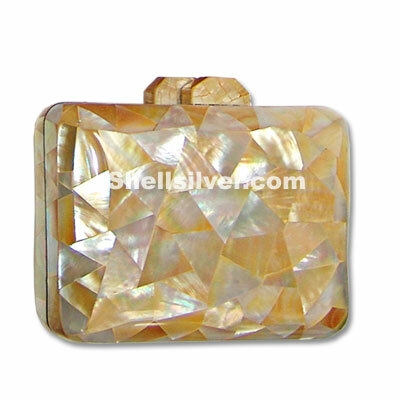 fashion more..
Capiz shell handbag or shell clutch bag in rounded rectangle shape 6x3, 75x3 inches dimensions made more..
Shells bag or clutch handbag made of mother of pearl or MOP shells in square shape 6 x 4, 75 x 2, 25 more..
Evening clutch bag in octagon shape design 16cm x 13cm x 4cm made of violet oyster shell tiger crack more.. 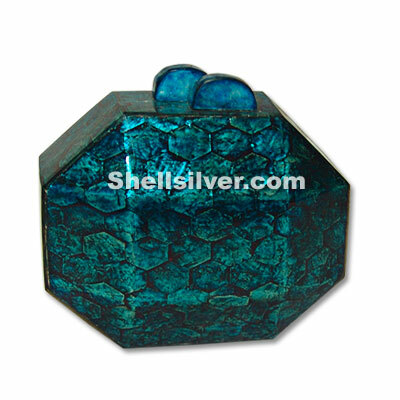 Shell handbags in turq blue or clutch handbag in octagon shape 6.25 x 5 x 1.5 inches dimensions made more..
Octagonal Capiz Shell Bags or Shell clutch handbag in octagon shape 6.25 x 5 x 1.5 inches dimensions more..